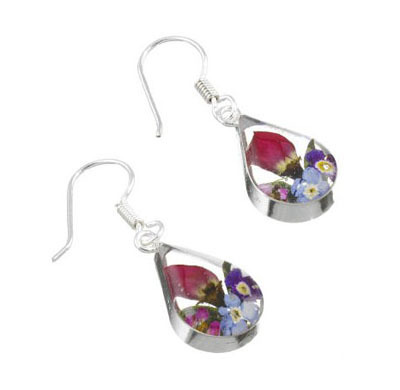 Sterling silver earrings set with real flowers. Beautiful timeless pressed flower jewellery. Size approx 2.2 x 1.1cm excluding the earwires.